Ethical and legal considerations and practical tools for your shamanic healing practice. Are you considering starting a shamanic healing and/or divination practice and would like some guidance? Do you have an established practice and would welcome the opportunity to discuss ethical issues and other pragmatic aspects with other practitioners? This two-day workshop developed by Susan Mokelke provides participants with guidelines for the development of a healthy shamanic practice. * Subjects to be covered include the ethical practice of shamanic healing and divination; legal considerations;** what to say to potential clients; the screening process; payment issues; useful forms to have; organization of your practice; and other pragmatic matters related to practicing shamanism in an ethical, professional, and effective way. The workshop will be a combination of lecture, discussion, and interactive-experiential exercises, including journeying. * Since the seventies, tens of thousands of students have trained in core shamanism — originated, researched, and developed by Michael Harner after extensive field and cross-cultural investigation, experimentation, and personal practice. This workshop is intended to promote the ethical and professional practice of shamanic healing and shamanic divination. ** Legal Considerations. Workshop content related to legal considerations is provided for information purposes only as a service to those seeking and practicing shamanic healing or divination. It is not legal advice or counsel and is provided only as general information, which may or may not reflect the most current legal developments. The Foundation makes no warranty as to the accuracy or completeness of the information and does not endorse or sponsor any website links provided. The Foundation does not accept any liability to any person for the information or advice (or the use of such information or advice), which is provided or any linked sites incorporated into it by reference. The information is provided on the basis that all persons taking this workshop undertake responsibility for assessing the relevance and accuracy of all content. If you require advice in relation to any legal matter you should consult an appropriately qualified lawyer. Narrye Caldwell is a shamanic healer, feng shui/astrology consultant, martial artist, and Licensed Acupuncturist. 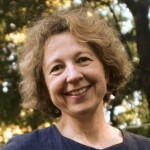 She has been in private practice in Santa Cruz for over 25 years. She is Guest Faculty for the Foundation for Shamanic Studies, and teaches martial arts and Chinese medicine at the Academy of Martial Arts and Five Branches University.